Thats useful not only when developing a site, thank you for sharing! A job that clears the entire C5 clipboard. When building a concrete5 site, you usually end up leaving tons of blocks in the clipboard. This job simply clears your clipboard with one click. 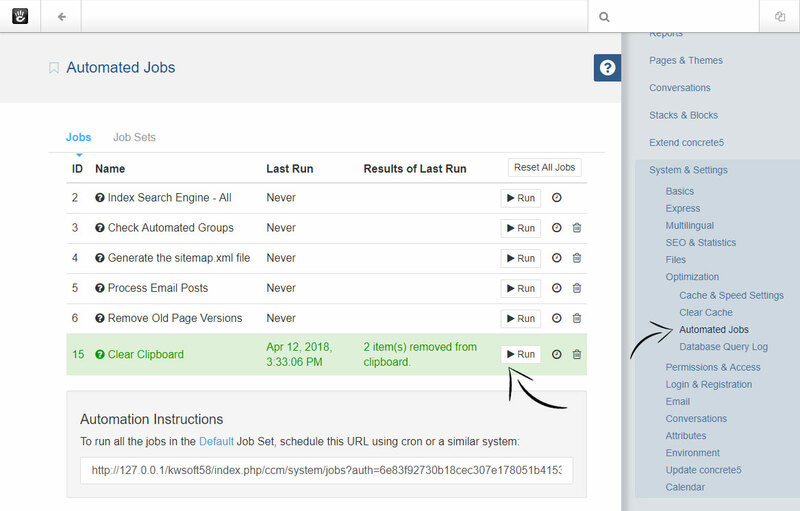 Find a job named "Clear Clipboard" and click "Run".